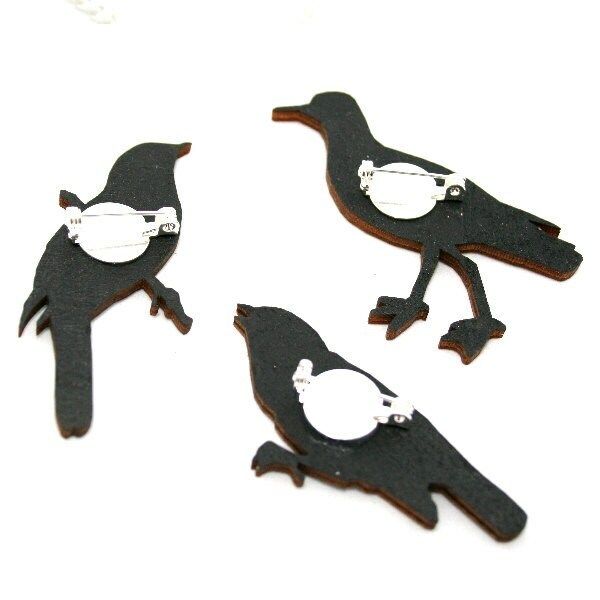 Blue Wooden Swallow Illustration Brooch. 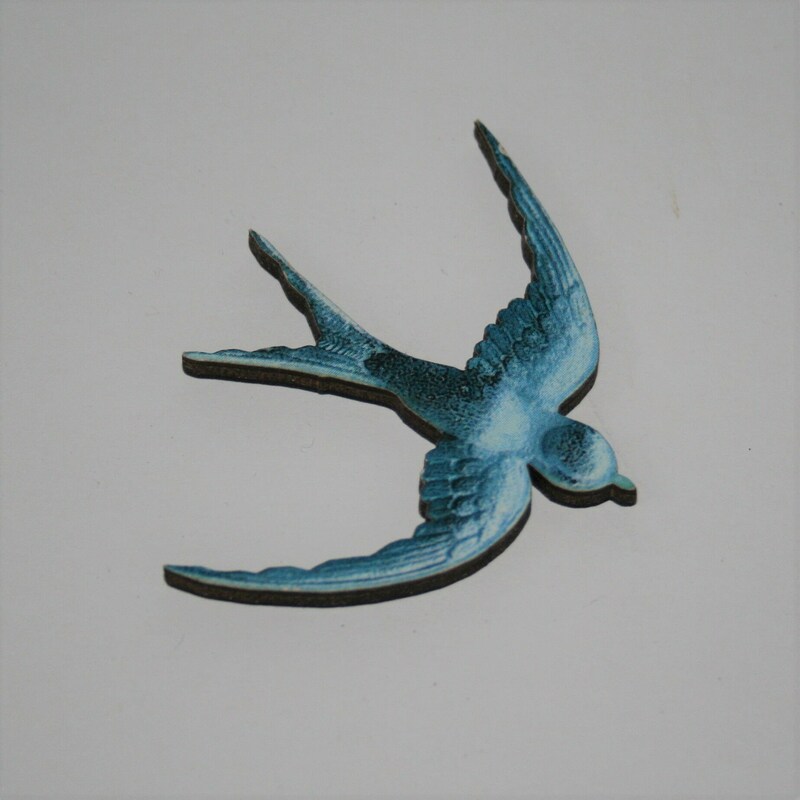 This beautiful blue swallow brooch has been made by adhering a blue swallow image to 1/8” (3-4mm) thick wood board and then laser cutting to shape. The reverse of the swallow has been painted black. A silver plated brooch has been securely attached to the reverse. 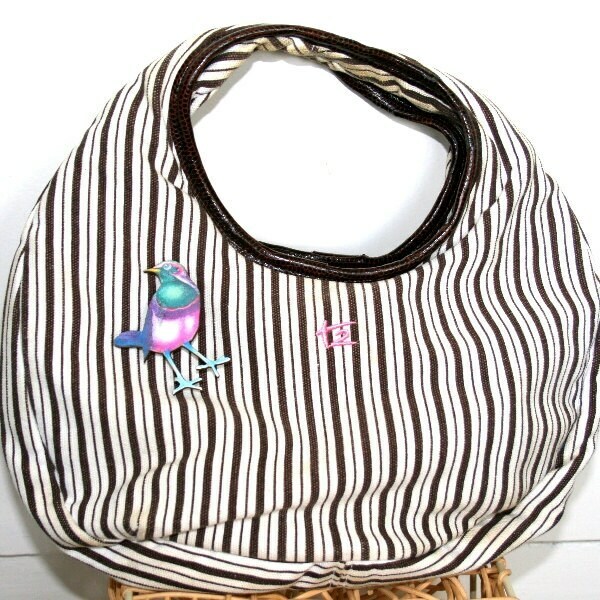 • This swallow is made from paper and wood and therefore will not withstand being taken in the shower or swimming pool.